I came to know U.R. Ananthamurthy in the four or five years I spent intermittently in Karnataka as a graduate student between 1999 and 2004. Or perhaps the correct way to put it would be to say that I came to know Karnataka, especially its literary culture, its intellectual life, its history and arts, as well as its political climate, through U.R. Ananthamurthy. He was called “UR” by many of his admirers, and “Ananthu” by my teacher, Sheldon Pollock, also a friend of his. I simply imitated his children, Sharath and Anu, and called him “Appa”. He was my window into Karnataka, as Dilip Chitre was into Maharashtra, in that period of time that I was studying, teaching, learning and traveling as part of my doctoral research. In those years, he was critical of the transformation of Karnataka into India’s Silicon Valley and IT hub. He wanted Bangalore’s name changed to Bengaluru (and Mysore to Mysuru). Through Appa and his wife Esther, I came to know of Ninasam, the theatre school in Heggodu, which I visited later. We spent time together in Mysore, in Udupi, in Manipal, and in Bangalore. Later I would see him in Delhi, and in Jaipur, at the Jaipur Literature Festival. I met his students and fellow writers, intellectuals, activists, journalists, academics, and artists everywhere. 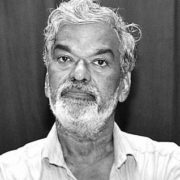 It did not take me long to understand the unique place he occupied in Karnataka’s public life — as a touchstone, a sage, a critic, a conscience keeper, a mirror held up to the entire society. People often disagreed violently with him, but still looked to him to provide commentary and interpretation, for everything that was happening around them, either as a kind of provocation, or as a lesson. He was the foremost bhashyakara of Kannadiga public culture. Through the novella Bara, now translated by my old friend and fellow mentee of Appa, Chandan Gowda, we get to hear the voice of a much younger Ananthamurthy. Probably when he wrote Bara he was the age that we — Chandan and I — are now. 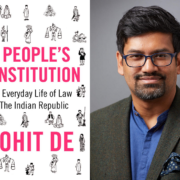 Clearly he was trying to make sense of many recent trends in India’s political life: the Emergency, the moral compromises made by the Indian Left, the sharpening divides between secularism and communalism, between democracy and authoritarianism. He had moved on from the traditional society shown in his debut novel Samskara, to modern, urban India. The agrahara had given way to Jawaharlal Nehu University; the dense forests of coastal Karnataka, where Praneshacharya must wage a solitary battle against inner demons, had opened out into mofussil district headquarters (in Gulbarga), where our protagonist Satisha has to engage in ideological combat with a complex and deceptive social order. Like Chandan, I too found Bara to be dated. Not in a negative sense, but in the sense that it seemed quite strongly located in its time and perhaps not as resonant or relevant to us today. The attraction of Gandhi and Marx, the names of JP (Jayprakash Narayan) and Vinoba Bhave, the memories of Naxalbari, Bangladesh and Emergency, all belong to our parents’ generation, their struggles and experiences. But I felt chastised by what Appa says to Chandan in his interview, which took place in January 2014 — “Nothing is out of date for a writer”. I corrected my mistake. Nothing, indeed, is out of date for a writer. 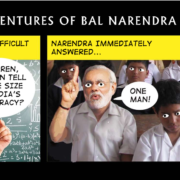 Really, what has changed for India? Have we slain the demon of communal violence? Have we eliminated poverty and corruption; have we discarded the failed paradigm of development? Is the Left able to help us understand the basic architecture of caste society, of religious diversity, of the simultaneous realities of tolerance and intolerance, in which we live parallel, or split, lives? Even JNU, then new, and now very possibly on its last legs, has not, in story or in fact, produced either the political energies or the social science apparatus that would enable intelligent, committed, idealistic, educated young people, like Satisha and his wife Rekha, to engage and negotiate better with the ‘India’ to which they were or are, in theory, so devoted. The saga of ideological befuddlement and institutional disappointment is alas a little too contemporary, on second thoughts. I can clearly see Appa’s face and hear his voice in this small gem of a book. 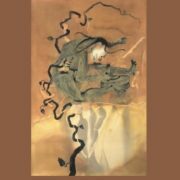 Perhaps what Satisha and Rekha are missing, in their journey, is a figure like Appa himself — someone to signpost their political, ethical, psychological and emotional landscape, with the wisdom that in our cultures we traditionally ascribe to, and expect from, the poet, or the creative writer. I know that for me, and many of my generation or a little older — like Suketu Mehta the writer, Srikanth Sastry the scientist, Chandan himself, our friend Prithvi Datta Chandra Shobhi, and so many other peers in the academic world — Appa was a sort of an anchor and a compass. When we went abroad to study or work, he pulled us back to India. When we became too involved in our English jargon, he brought us down to the earth of our native languages. When we were flying high in the skies of modernity, he appeared as the dark cloud of tradition, sometimes obscuring the sun, sometimes bearing rain. Speaking for myself, he introduced me to Ashis Nandy and Shiv Visvanathan. Through and with him I met Medha Patkar and Vandana Shiva. Under his paternal umbrella, we bore the grief of the untimely death first of D.R. Nagaraj and then Murari Ballal. He wrote me my first letter of introduction to CSDS, since he was on its Board of Governors at that time. He knew my father Kailash Vajpeyi through their shared careers as writers in the bhasha-s of India, Hindi and Kannada respectively, and they met often at the Sahitya Akademi, Bhartiya Gyanpeeth, and other literary institutions that, in those days, still carried weight. In 2002, when Gujarat happened, I was living in Bangalore, and teaching at the National Law School, seeing Appa and Esther Aunty, and their circle regularly and often. In 2014, when the BJP formed the government in Delhi, I wrote an article in The Hindu titled “Hind Swaraj vs. Hindu Rashtra”. Appa called me up. He said he wanted to speak to me about this, as he was writing on the same subject. “I don’t want to live in Modi’s India,” he famously said. He invited me to Kochi to a conference on Metaphysics and Politics, and said, let us talk there about what has happened to this country. I went to the conference, but he was on dialysis and couldn’t make it. A few days later, he passed away, in August 2014. 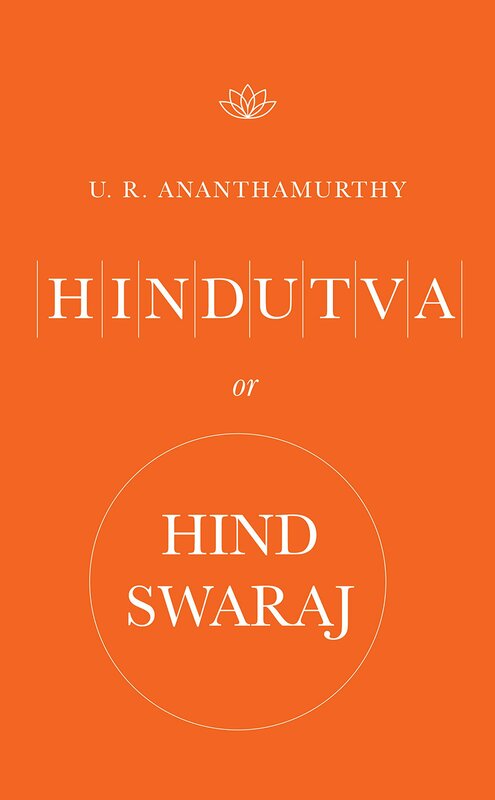 His last manifesto, Hindutva or Hind Swaraj, was published this summer, salvaged from his final work by his son-in-law, the writer Vivek Shanbhag. When Appa died I felt devastated. It was hard to explain how it was that I could not separate in my mind the political catastrophe that had engulfed India, and the death of this man who had stood as a frail yet feisty bulwark against so many of the dark forces to which one feels so very exposed. Eight months later, in April 2015, my father too died. 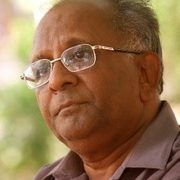 Upon his death, I realised that Appa’s death had been a premonition, and that what I was feeling was not just the loss of the love of my fathers — one actual and the other surrogate — but also the protection that their generation of writers provided against the stark political ruin, ecological breakdown, and moral crisis into which we have now plunged. 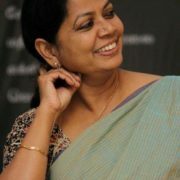 Transitioning from colonised to independent India; from a sheltered brahmanical childhood to a raw, angry, Leftist or socialist, and other ways of radical youth; shaping the modern languages in which they wrote, yet steeped still in literary traditions centuries old; attracted to and repelled by the West; world travelers and village boys; deshi cosmopolitans sometimes, and, at other times, marga philosophers who harkened back to a fugitive pre-modernity; thinkers as fascinated by Vedanta as by existentialism; deeply political men who never entered politics; individuals who married outside their caste, community and religion; and led fiercely independent, iconoclastic lives without ever losing touch with their history — men like Appa and my own father had a command over language, imaginative prowess, creative talent, a boldness, an anger, a confidence and most importantly, a contrarian charisma that is simply gone from our dessicated public life, and our pusillanimous public intellectuals today. The drought of Bara is everywhere upon us. We all thank Chandan and Oxford University Press for bringing this little fable to a wider audience through translation, and for appending with it a short interview with the author. This book reminds us why U.R. Ananthamurthy himself was a tree that could still provide green shade on the parched earth we now inhabit; this barren land where we think nothing of refusing water to the thirsty; where a curfew may last for 56 or 76 days; and where the voices of those who know truth from lies, and good from evil, have fallen silent. 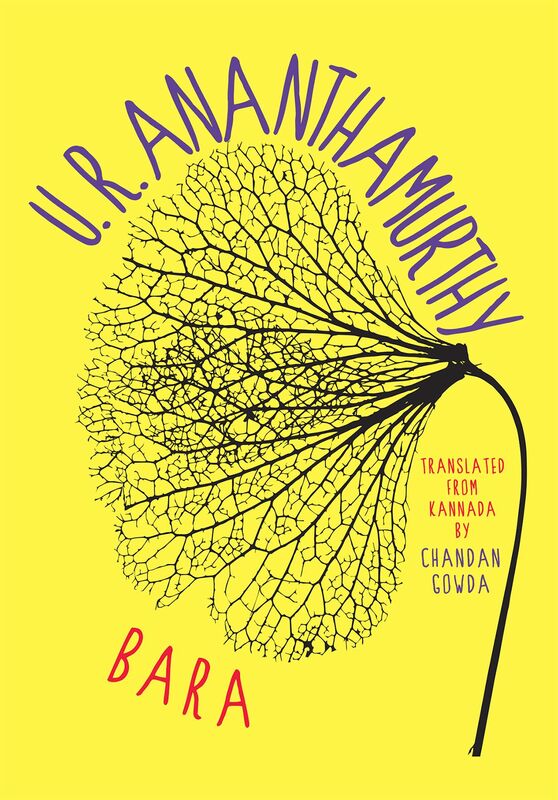 See here for an extract from Ananthamurthy's Bara (2016). This talk was delivered at the launch of Bara, at the India Habitat Center, New Delhi, on September 3, 2016. The other panelists included Ashis Nandy and Poonam Saxena. Ananya Vajpeyi is Fellow, Centre for the Study of Developing Societies, New Delhi. For more on her work click here.